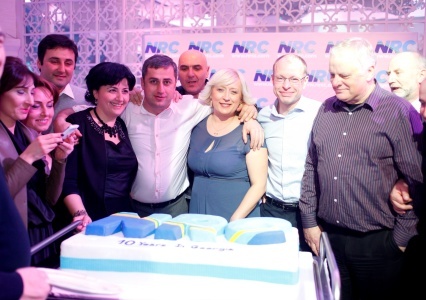 NRC International Services Ltd (“NRC”) Celebrate the Ten Year Anniversary of its Operations in The Republic of Georgia. NRC International Services Ltd (“NRC”), a wholly owned subsidiary of NRC Int. Holding Company LLC, and Portfolio Company of J.F Lehman & Company, has celebrated its 10 year anniversary in the Republic of Georgia (“Georgia”) by hosting an anniversary ceremony for staff and clients. Since 2004, NRC has delivered oil spill response and related support services in the region and now operate a total of seven Tier 2 response bases; three in Georgia and a further four in the Republic of Turkey. NRC also operates a ninth response base in the region, in Aktau City, Kazakhstan. With a local staff base of 77 employees in Georgia, NRC provide 24/7 standby support and emergency response to local clients. Services include oil spill cleanup, equipment supply and maintenance, dedicated emergency response teams, firefighting, and training. NRC also delivers many consultancy projects such as cross boarder exercises, tabletop exercises and emergency response plan writing.